The game opens in media res with a character running through a forest. You are immediately in control, with lines of monologue and opening credits being triggered as you progress. It's natural and gives a professional feel. The mapping is of a high standard, making a use of a mix of RTP and other resources. Where fog and lighting effects have been used, they are not overcooked and it's still easy to read the map. After a soft tutorial battle, the game cuts away to an American high school that's straight out of "Mean Girls". Good use of Galv's screen zoom to focus in during cutscenes. And then you're in control of Queen Bee-atch Brooke, which is a brave choice of protagonist. The game at least shows an explanation for her behaviour. Before too long, you're bussed off to Aunt Hilda's where the game proper begins. 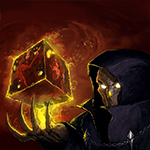 The core game mechanic is using the Seidhr power "pull" to extract soul shards from the undead Lost Souls you fight. Using these shards you can summon warriors from history and legend as permanent party members. Or you can upgrade one of your existing einherjar by using the soul fragment on them. Pull a soul fragment from an outlaw, and you can summon Billy the Kid. Pull from a sailor, and you can summon Sinbad. While the idea of Valkyrie and Einherjar comes from Norse mythology, the characters from the game come from many cultures. So you can have Joan of Arc, Washington and Ceridwen in your party. The writing also makes use of archetypes to give characters a distinct voice. It's a good way to give life to peripheral characters, but can be a little two dimensional on the main cast. There are hints of character development in Brooke's writing (and hints in the game lore that she'll need to become a better person). Unusually, your main character is a support / commander type. Mostly you'll be using "pull" to improve your party, but you have a party buff and basic attack as well. Your real party are the three Einherjar you take into battle with you. When you use a shard to boost one of your existing einherjar, you'll either transform it to a new type (100% with the right combination) or give one of three advancements at random, based on the shard type. 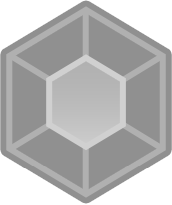 This can be things like an elemental resistance, a new skill from the shard's element, or an improved attribute. Elements are pretty important, there are three magical damage types and three physical with rock/paper/scissors arrangement. It's a little bit pokemon. You can see on the map the type of the leader of an enemy troop and switch up your party before engaging if you think it will help. This is the unique feature of the game and where most of the work has gone, including a 2000 line script and a fat database. This is worth playing, even if its systems don't hold your interest for as long as the grinding expected before the pool party. Urban fantasy doesn't get a lot of games, and there's a bit of that here. Moreover, if you want to see what MV is capable of as an engine, there's a lot to see here. Other than the einherjar stuff which is unique to this game, a lot of the customization of the look and feel is done with publicly available plugins which you can use in your own games. I think all the characters have been made using the character generator, but still manage to look good and have a variety. Being an IGMC entry, this was created under some time pressure. The first 30-40 minutes of gameplay are quite polished, and I'd rate this higher if that was sustained. Unfortunately after a certain point it is "here's two maps to grind on, come back for a boss level". It's still a solid 4 star game despite the flaws. Thanks so much for the review! So I swung by RMN and was like What? Einherjar is buzzing? Einherjar? A lot of work went into this game by several people (it was a team effort), but like you said correctly, steam kinda ran out after the contest ended, so it remained in its more or less contest form. Because the judging period of the contest was only 1 hour, the pacing for this game, especially regarding Einherjar collection, was a bit rushed. I think it would've been more appropriate if the player collected the 30+ Einherjar over a 5~6 hour game. Why Brooke? Because I feel sorry for her archetype. XD You know how in teen drama there's the cliche of that one queen blonde bee-atch who picks on the nerdy (but really quite beautiful after she gets makeover) main protagonist? And in the end that blonde bimbo always gets her just desserts? Bad things happen to her etc and as a society we condemn her. Well, what if she isn't as bad as she seems? What if she just needs the right nudge to make her a good person? That was the theme I wanted to explore. Anyways, I'm glad you enjoyed the game. Maybe we will polish or expand upon this in the future. Thanks!